Tech. Sgt. 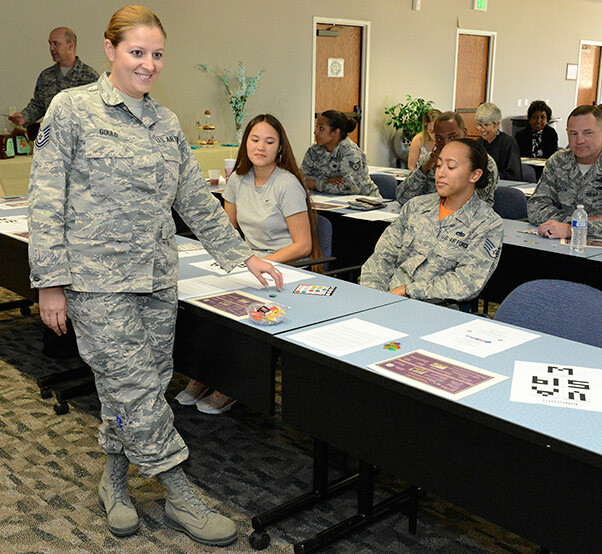 Elizabeth Gould, 412th Logistics Readiness Squadron (left), verifies Staff Sgt. Ciarra Malto’s Bingo win during Edwards AFB’s Women’s Equality Day Social held Aug. 24 at the Airman and Family Readiness Center. Gould helped organize this year’s observance. 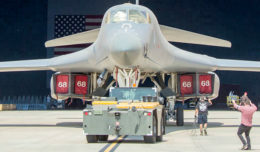 Women’s Equality Day was celebrated across the country last Sunday [Aug. 25] with the Edwards Air Force Base, Calif., community getting a head start to the commemorative weekend. 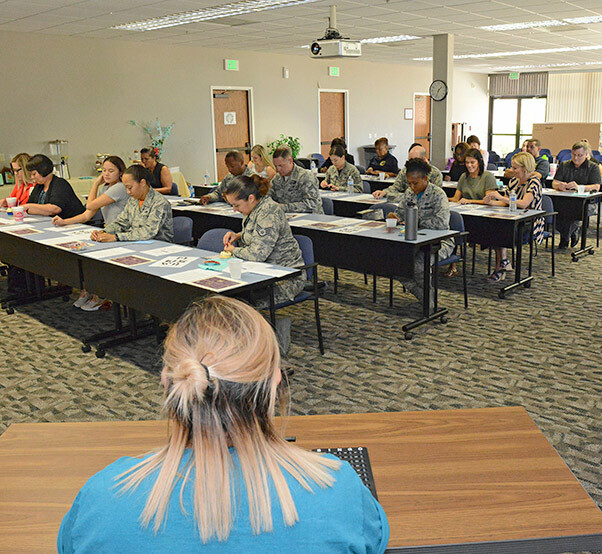 The 412th Test Wing and NASA Armstrong Flight Research Center hosted an informative social event in observance of Women’s Equality Day, Aug. 24 at the Airman and Family Readiness Center. Guest volunteers gave presentations on topics such as the history of women’s suffrage and notable women in U.S. history. 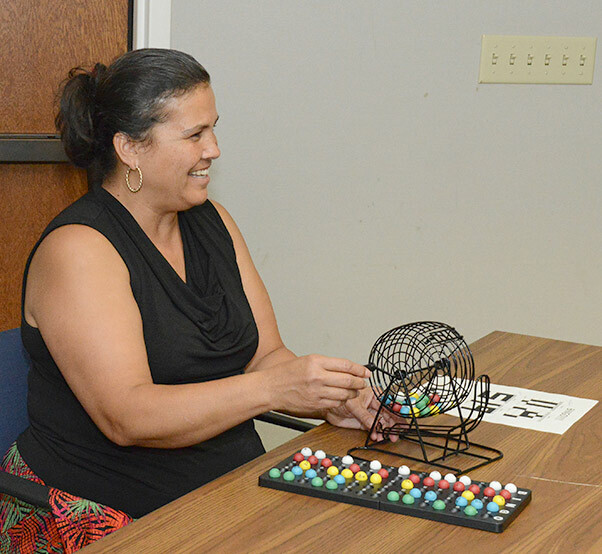 Bonnie McGee, Air Force Test Center Judge Advocate Office, spins the Bingo wheel to reveal the next Bingo ball number during Edwards AFB’s Women’s Equality Day Social held Aug. 24 at the Airman and Family Readiness Center. In between presentations, attendees played Bingo to win prizes. According to the National Women’s History Project, Women’s Equality Day commemorates the passage of the 19th Amendment to the U.S. Constitution, which granted the right to vote to women. The amendment was first introduced in 1878. In 1971, the U.S. Congress designated August 26 as Women’s Equality Day. Chief Master Sgt. 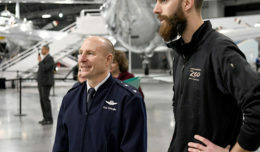 Roosevelt Jones, 412th Test Wing command chief (left), and Chief Master Sgt. 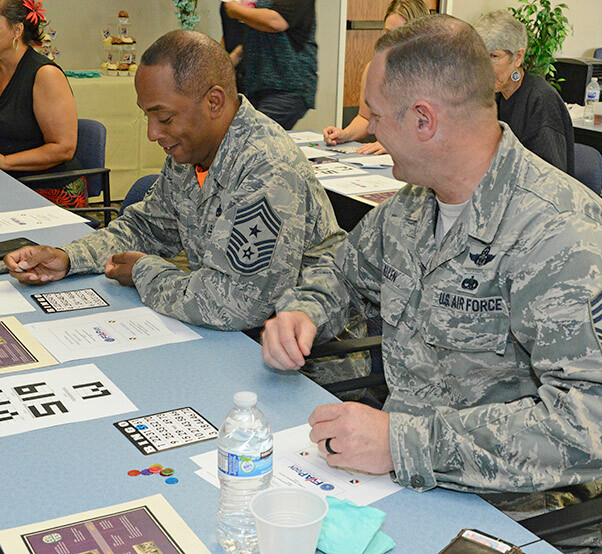 Marc Allen, 412th Operations Group superintendent, look for called numbers on their Bingo cards during Edwards AFB’s Women’s Equality Day Social held Aug. 24 at the Airman and Family Readiness Center.